• As a standalone device with a prepaid option: R1499 including VAT. • With a prepaid Starter Pack: R1899 including VAT (Starter Pack includes a modem, SIM card and 100MB of data per month for 12 months). • With a Contract option, the device with a modem will be priced at R189 on a standard My Meg 500 for 24 months. • A Top Up option is also available and includes a modem and 100MB of data per month for 3 months @ R169 on a Top Up 135. 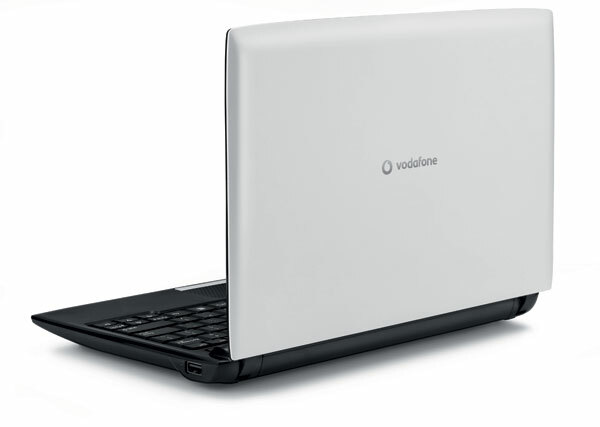 The Vodafone Webbook will be available at Vodacom World and all participating outlets on order from 19 October 2011. London 18th October: Canonical today announces that Vodacom, the African subsidiary of Vodafone, has launched the Vodafone Webbook, which is available to users exclusively with the Ubuntu software. The goal of the product is to bring an affordable, full-featured online computing experience to millions of young South Africans to whom owning a personal computer has to date been impossible. The Webbook is a slim, lightweight and sleek design that matches perfectly with the intended mobile computing usage. The product features Ubuntu's incredibly easy-to-use, intuitive and highly graphical interface. It comes packed with applications and access to hundreds more from the scientific research tools to fun games for the family. It also innovates through use of an ARM processor to drive the device, and reduce cost and power usage. "Ubuntu's founding principle is to remove the barriers of access to computing for everyone," said Mark Shuttleworth, founder and product strategist at Canonical. "Products like this give hope of connectivity to the three billion people of our planet who are unconnected today. It's a step, we hope one of many more, that puts people on a level playing field in terms of the tools they use and the worlds they can explore," says Mark. Speaking about the Webbook, Chris Ross, Managing Executive of Commercial Development at Vodacom said: "The Vodafone Webbook is going to offer the end user a compelling, mobile or at-home computing experience at an affordable price. We think this device is going to be particularly important and attractive for the emerging market." The device is evidence of a growing trend in emerging markets to look at alternative technologies to drive the huge growth in IT and telco usage. Ubuntu has seen substantial growth in China, India and across the developing world as a legal, full-featured and flexible technology that offers manufacturers and purchasers a real alternative that embraces an operating system, a compelling application stack and access to the cloud. Ubuntu's ability to run on Intel and ARM chipsets also gives flexibility on cost, especially important in markets where every dollar saved can make a real impact on the success of a product.